Nights are getting longer and summer is right around the corner. Are you looking for the perfect way to spend a June night? Look no further than your local music venues as they are kicking off the month with some sensational shows. For something on the softer side, don’t pass up John Moreland’s show. This self-produced singer-songwriter keeps his Oklahoma roots close to his heart and his music. Soothing guitars and vocals drive his impressive folk-style acoustics. Three of Moreland’s songs have even been featured in Sons of Anarchy. Moreland will perform at the Rock & Roll Hotel on Sunday, June 4. Get your tickets now. Sorority Noise will bring their music to the Hill in support of their third LP, You’re Not As _____ As You Think. This album, as well as their previous releases, brings raw emotion and honesty to their listeners. Fueled by lyrics surrounded by grief and loneliness, powerful guitars, and impressive melodies, Sorority Noise has once again continued to improve with each album. Check out Sorority Noise at Rock & Roll Hotel on June 13. Pick up your tickets here. Though they haven’t hit the US mainstream yet, Blossoms has caught the attention of listeners in their home country of England and were featured on BBC’s “Sound Of” new music list for 2016. They have already played at festivals like Reading and Leeds and sold out UK shows, so this is your chance to see them before they get big stateside. This indie pop band boasts an undeniable 80s vibe (think Oasis meets Arctic Monkeys) so if that’s your thing, don’t miss this show on June 3 at Songbyrd. Buy your tickets now. To celebrate over 30 years of critically acclaimed music, more than 20 albums, and over 3 million records sold, Los Nocheros are touring the nation and making a stop right in DC. They are known for their incredible Argentinian pop/folk music that combines strong rhythms with local folklore. With festival performances, plenty of local awards, and a Latin Grammy Award nominee under their belt, these guys sure know what they’re doing. You can catch Los Nocheros at the Howard Theater on June 8. Get your tickets here. The Americana rock duo Jamestown Revival has been steadily gaining popularity since their formation in 2010. The duo pulls inspiration from singer-songwriters and storytellers such as Willie Nelson and John Prine to create their own sound. They have been featured in Rolling Stone and the Wall Street Journal, while also picking up spots at massive US festivals and an appearance on Conan. The 9:30 Club hosts Jamestown Revival on June 9. Pick up your tickets now. 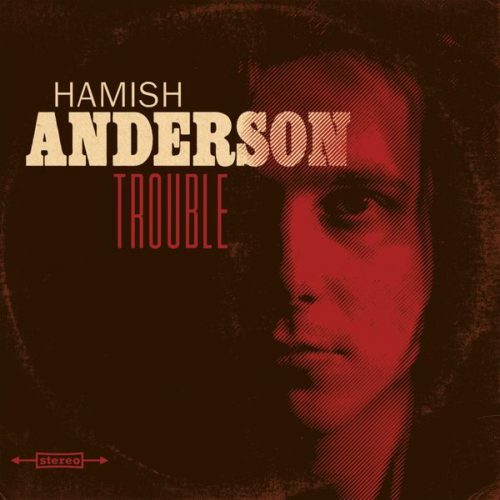 Blues, rock, strong bass lines, a modern alternative twist, and an enticing, smooth voice come to mind when I hear Hamish Anderson. He has come all the way from Australia for his US tour that will stop at Songbyrd on June 14. From there Anderson will move onto a set at the highly anticipated Firefly Festival in Delaware. The music is incredibly contagious; you will definitely find yourself getting into the music from the very first line. Get your tickets here. These are just the beginning of the live music that summer has to offer. Check back in two weeks for info on your soon-to-be new favorite bands.